Perfectionist Homeowner . . . Meet Perfectionist Plumber. The plumbing system in your home is complex a small leak, dripping faucet, running toilet can cost you thousands of dollars a year. Not to mention the frustration of a clogged drain or sewer line. 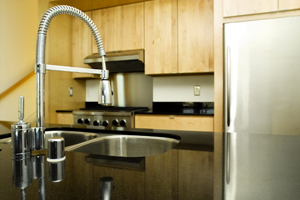 When your home’s plumbing system is compromised, your lifestyle will be suspended until it’s fixed. That’s why more Houston area homeowners count on Village Plumbing & Home Services for all their plumbing service and repair needs. 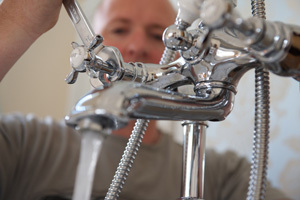 Village plumbers are highly trained and skilled professionals. They arrive on time and provide you with repair options. With our Up Front Pricing, the price we quote is the price you pay. There are never any price surprises. Whether it’s fixing an overflowing toilet, installing new sinks, toilets, showers, and garbage disposals, unclogging drains, or repairing leaking pipes or faucets, all work and your satisfaction are guaranteed 100%! And the work area will be thoroughly cleaned before the plumber leaves. Visit our VPP page or call us at 713-526-1491 to learn about all the benefits of this affordable partnership! And did you know that the Village Partner Plan HVAC includes a free plumbing visit and that it’s all on sale for $99? Yes, that’s four visits from a Village professional all for 99. Having a major plumbing problem crop up out of nowhere is a major inconvenience. When it happens, call us. As a company, we understand the stresses that come when things don’t work properly. Especially when the broken item in question is as vital to your daily life as an air conditioner, sink, mainline, or toilet. That’s why we have made it (literally) our business to help get your life back on track when things go wrong. When life goes awry, you need to the best, most dependable, and cleanest technicians ready to go whenever you need them. We make it our goal every day to serve YOU to the best of our ability. We’ve been serving the Houston area since 1946, and we haven’t just been twiddling our thumbs either. We have taken every chance we’ve received to better ourselves and the houses we work inside of. We hold ourselves accountable to leave each work area cleaner than we found it, simply because it’s the right thing to do. Because we are right here in your backyard, when we take care of your home, we are taking care of our city. Since its inception, Village Plumbing has been a family-owned business. We extend that verbatim to our employees, as well as those we serve in the greater Houston area. This city shares a connection and unique support which we are so proud to be a part of. There is no other place we would rather be than right here near you. Submit a Request Service form or chat with one of our service reps to get assistance right away and soon your plumbing issues will be no more.